Of course, the remarkable sound we hear from Malika today is not simply due to her musically-centred upbringing. Her Father introduced her to reggae and soul legends such as Curtis Mayfield and Bob Andy, whilst her Mother aided her R&B and rap discovery, But later, when Malika became old enough to choose music for herself, she found herself listening to, and becoming stylistically involved with, the likes of Mary J Blige, Mariah Carey, Gabrielle and the great Craig David. Fast forward just a little more than a decade, and Malika’s values remain the same, whilst her dreams are coming true at a supersonic rate. She explained: “I make music because it’s a part of me. I don’t feel like it’s a choice, or that it ever has been – it’s all I know. The process of making music is much more complex; it’s an emotional rollercoaster daily. But the highs of when I get it right? When people are singing my songs back to me or they send me a message saying they know how I feel because they feel the exact same way? Those are feelings I can’t even put into words”. The last few years have brought particular joy and success for Malika, with British electronic duo Snakehips realising the potential in her stunning, soulful voice and allowing her to work with some incredible producers (Ian Dench – ‘Beautiful Liar’, Beyoncé; and Bully Songs, ‘No Money’, Galantis). The result of such a collaboration was destined to be fantastic, but Malika never expected the track to do so well: “Put It On Me was received amazingly… It was a real team effort – we handled the lyrics while Snakehips and Math Times Joy killed the production… I’ve worked with Snakehips a few times now, they’re just so cool, really chilled and easy going”. Clearly the superstar electronic duo saw some special in Malika, too, and soon after, she was chosen to cut the spine-tingling vocals on ‘Falling’. “I absolutely love this song”, she beamed: “And I love the boys so I’m so happy things worked out this way”. Snakehips’ Spotify account currently exposes Malika’s wondrous voice to over 8 Million listeners every single month, all over the world and fans flocked to their sold out tour at the end of 2016. As luck would have it, Malika’s schedule was clear at the time and she embraced the opportunity to perform live at the some of greatest venues in the US and UK, including a particularly memorable Camden Koko: “That venue was my favourite as it was my first time performing ‘Falling’ live”. She continued: “I can’t even describe that feeling, especially being in London – I’ll always be grateful to the boys for giving me that experience. We also did some dates in LA as part of Red Bull’s 60 Days in LA, as well as San Francisco. AfroPunk festival headliner Sinead Harnett (who I love) was with us too so we got to hang out as well”. 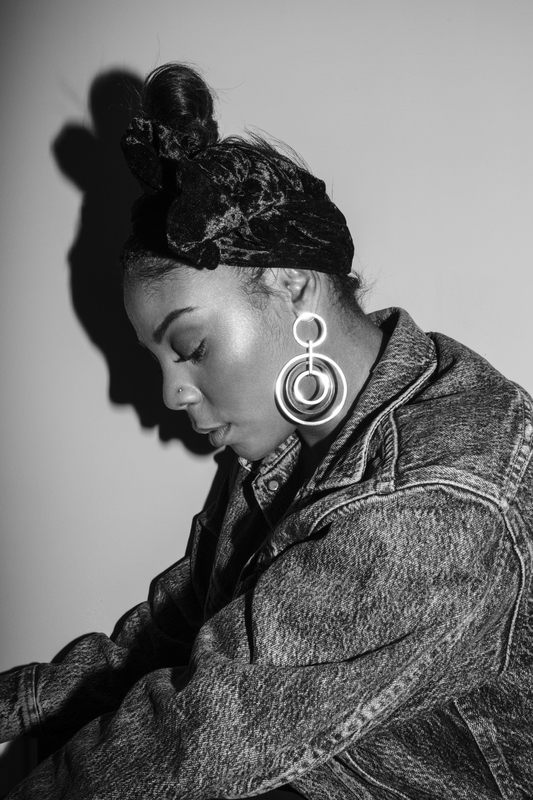 Since then, Malika has been putting in some serious studio time, honing her songwriting technique with each and every take, and with the turn of 2017 came the announcement of a brand new track, ‘Run’, and a forthcoming debut EP, Songs About C, a 6 or 7 track EP which maintains a real feel of emotional electronic R&B throughout. C is Malika’s ex boyfriend and, thus, the EP portrays the ups and downs of a relationship. “There’s probably about 12 EP’s and an album worth of songs about C”, she laughed: “But the songs in this one take you on a journey from the beginning to the end of a relationship, or at least the to point where you think it’s the end”… Describing herself as Passionate, Soulful and Kind, Malika injects a great deal of heartfelt personality into the new EP, demonstrated incredibly in ‘Run’. “Run is about that moment when you feel lost and you’re questioning everything about life, love and purpose; but at the same time you’re questioning if you even had the right to feel like this. This inspired the opening line of the song (I ain’t homeless, I have a home that’s got five bedrooms and six baths that looks enormous)”. This aspect, however, is for emphasis. Malika told me: “My best experience to date was when ‘Run’ got its first play on BBC 1Xtra by DJ Ace (another friend). I was so excited, I had 1Xtra playing all over the house – on the system in the front room, on my phone AND on the TV in my bedroom”. She laughed: “Now I live in a flat so it’s not a mansion, but I just didn’t want to miss it, and when it came on I felt exactly like the first time I heard one of my songs on the radio”. Clearly her accelerated rise to musical fame hasn’t impacted Malika’s humility. She’s still that same, sweet, down-to-earth kid that spent hour upon hour in awe of the musicians and producers that used her father’s studio. “I feel so lucky to have had the opportunities I have had and the support has always been incredible”. 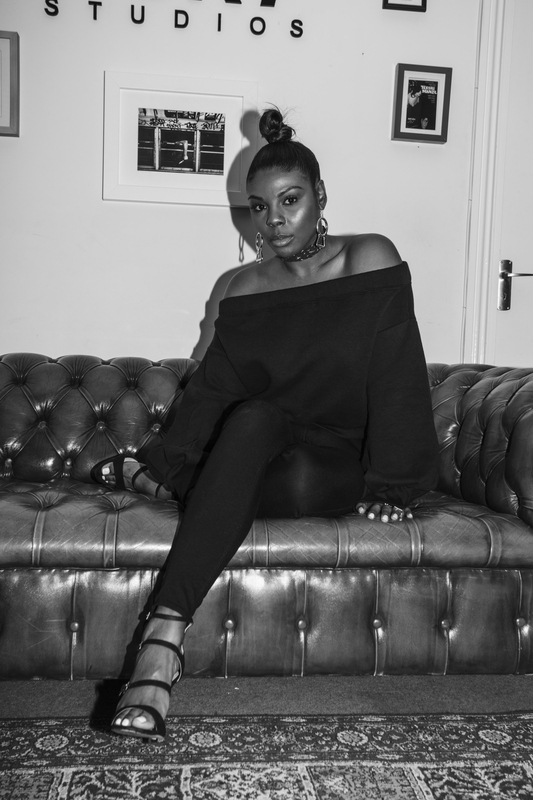 With peers like Sinead Harnett, Wiley, Raye BLK and Basement Jaxx surrounding her, support is never far away. “I don’t really view them as my competition… That’s not why I do this – They are just some really talented women out there, I respect their talent and craft, and I look at their success as something to emulate and celebrate”. 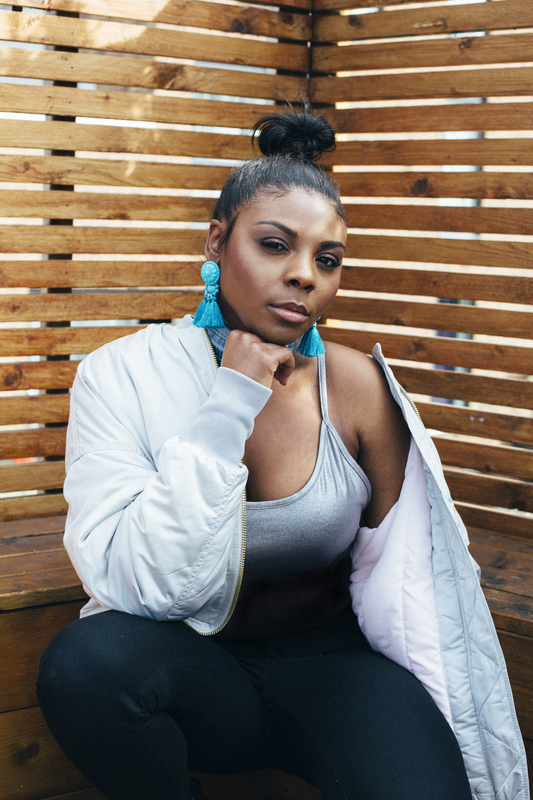 Full of values, aspirations and amazing talent, Malika is truly one to watch: ‘Run’ is out now, and an incredible acoustic version has just been released.